Liberate the Atlas star system from the sinister Forgotten Legion in Starlink: Battle for Atlas on Nintendo Switch. Travel seamlessly from one exotic alien planet, into space, and down onto another again, exploring each world’s unique ecosystem. Lead a team of interstellar pilots to fight back against the threat posed by the villainous Grax and his army. 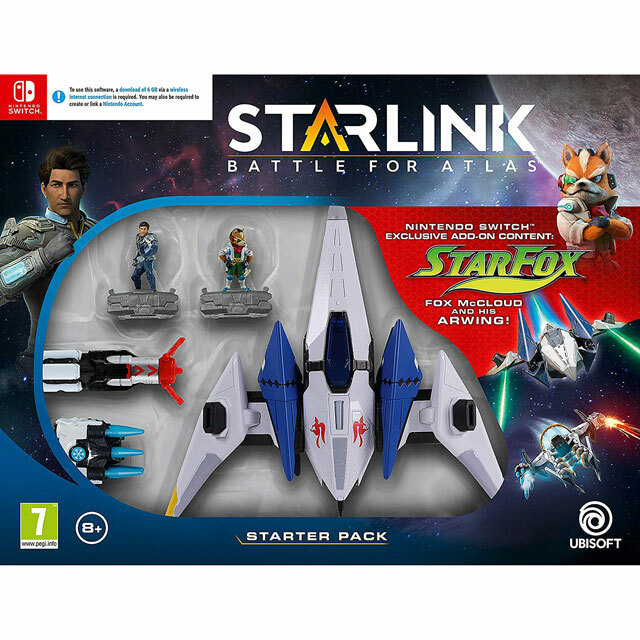 This starter pack includes Fox McCloud and his Arwing from the StarFox series – exclusive to the Nintendo Switch version of the game – as well as the pilot Mason Rana, and the Flamethrower and Frost Barrage weapons. 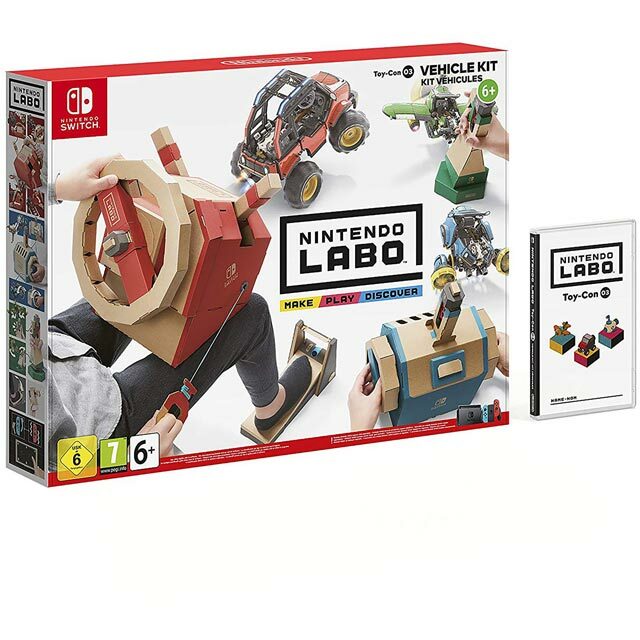 They fix to the controller mount, also included here, and players can swap out the ship, weapons, and pilot with other accessories (sold separately) to give themselves every advantage in game.